Unified business communications solutions vendor, ShoreTel has entered into the apps for wearables space with the introduction of its unified communications (UC) app for the Apple Watch. 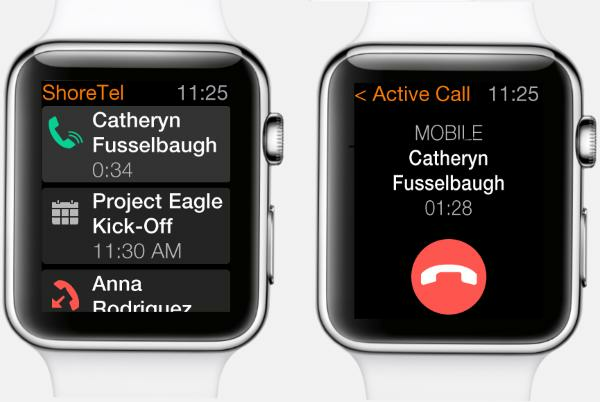 Named ShoreTel Mobility for Apple Watch, the app aims to transform the Watch into a communications and collaboration tool for mobile professionals. According to ShoreTel, the solution is an extension of its ShoreTel Mobility solutions for UC capability. Users will be able to use this app to access their enterprise UC system, namely join conference calls without additional bridging or authentication required, or answer, reject, or redial an enterprise call in addition to other features. ShoreTel A/NZ managing director, Jamie Romanin, said ShoreTel Mobility for Apple Watch is all about enhancing the user experience by giving its existing Mobility users additional unified communications capability and functionality. “With the steady rise in the mobile workforce and the steady decline in use of the deskphone and PC for unified communications, extending key UC capabilities to mobile and wearable devices is critical,” he claimed. But the solution will only be available on the Apple Watch for now. Even though a myriad of Android smartwatches have made their way into the wearables market, ShoreTel’s solution will be solely for iOS. The company made a similar decision when it launched the ShoreTel Dock in 2013. Romanin added that with more than one million pre-orders for the Apple Watch on the first day the device went on sale, he expects a significant penetration rate for the Apple Watch into the existing ShoreTel Mobility user base.